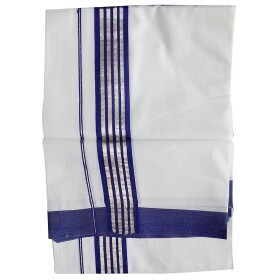 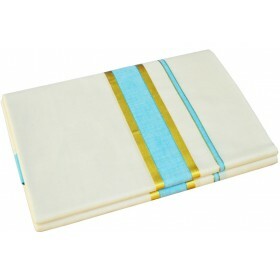 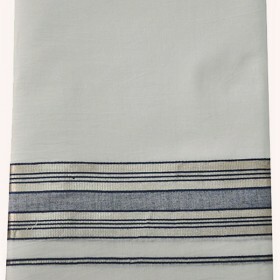 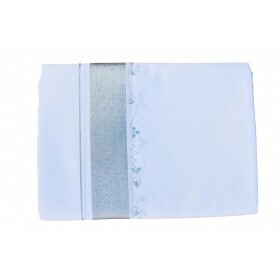 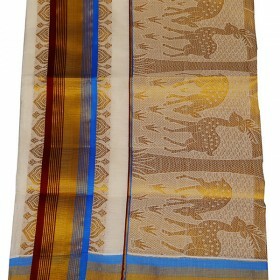 Kerala traditional and elegant Cream colour kasavu saree with copper blue and red border from Malaba.. 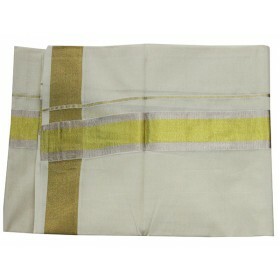 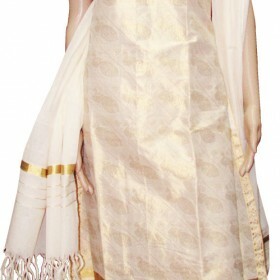 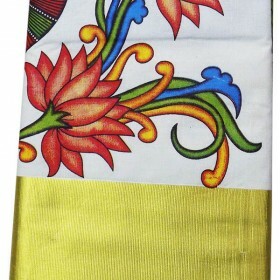 This Kerala Saree with Gold border has Hand painted Mural in the border and chest area as shown.. 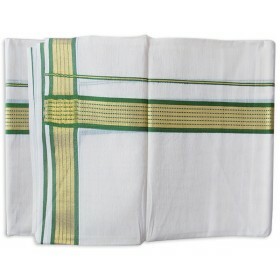 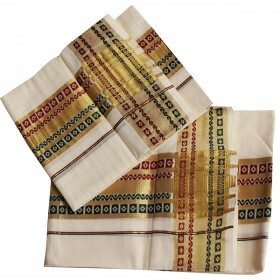 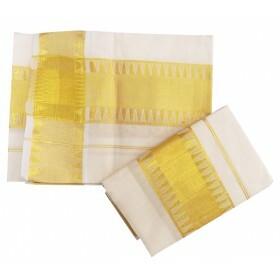 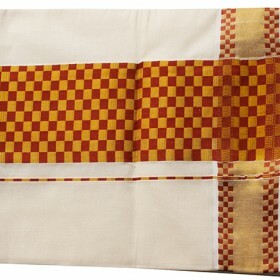 Traditional Kerala kasavu churidar with full tissue golden kasavu work to give a grand and rich look.. 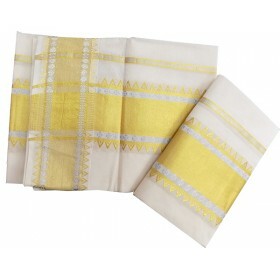 Traditional Kerala mundu brocaded with 3 cm Silver and gold jari is special design by the hand woven traditional costume for wedding groom. 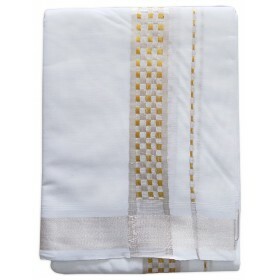 This type of design is looking for all the men for their wedding or engagement.